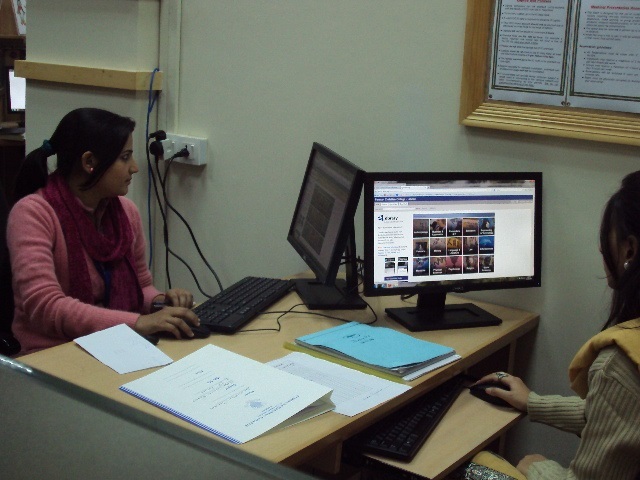 The Research Helpdesk is a demand-responsive service to help researchers find information for their research assignments, thesis or research papers. We help you articulate your research question, identify the best sources and formulate your search strategy. Ewing Memorial Library- Room 009 09-12 a.m.& 04-06 p.m.
In-Person individual Information Finding Instruction – Walk-in at any Research Help Desk during working hours to get help for finding information on the topic of your research. Upon a request be email from researchers and faculty, requested Journal articles can be searched, downloaded or obtained from other sources and email to the requester.